Remember the video I made where I asked a bunch of current students to tell me and well, all of you, why they decided to come to Skidmore? Well its about time I posted a new one. Sorry for the wait. 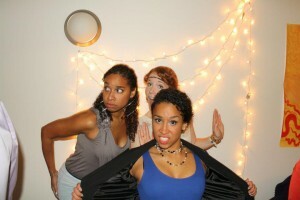 I meant to have this up by…..well, lets just say two days ago but the point is, its up now for your viewing pleasure. Please do watch, share, and enjoy ! 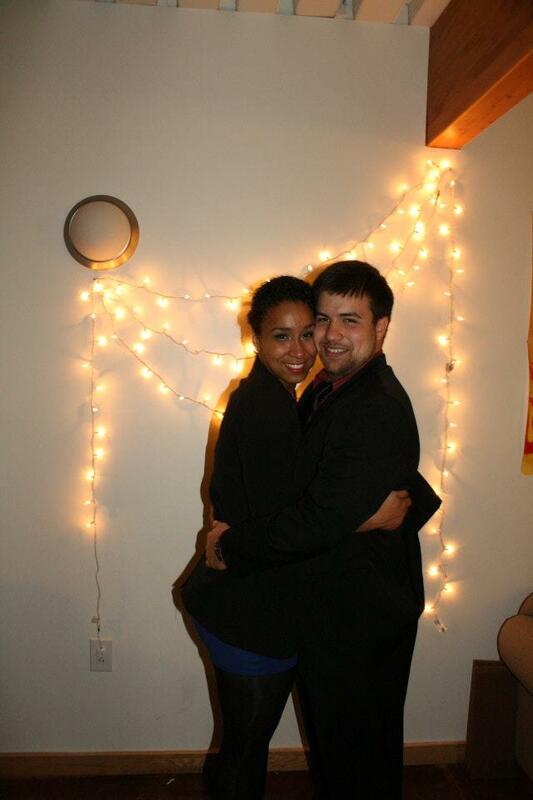 This entry was posted in Friends, Me, Students, Videos and tagged asking questions, current students, fun, happy students, reasons you will love this place, skidmore students, vibes, video, why, why did we choose on December 15, 2011 by Altagracia Montilla. A year ago from today I arrived at JFK airport. I was groggy, exhausted, and dressed much too lightly; flip flops, tights, and a Skidmore sweater did not suffice for the winter cold. I was extremely tanned, somewhat sun burned, and feeling fresh. I was in utter disbelief of the previous 5 months. I could not stop smiling as I thought back to priceless memories and waited for my friend to pick me up from the airport. These were all things that went through my mind. A year ago from today I arrived at JFK airport, I had just flown in from a week long vacation in Fiji of which prior to that I was studying abroad in Australia. My time abroad felt like a dream, it was so surreal. I fell in love with the friends, the place, the everything. I wanted nothing more than for every moment abroad to last forever. The days counting down till I had to return pained me in every way but never so much that it blinded me from the great times I had in the present. For the first time ever I felt the feeling of wanting to be in two places at once; I loved and missed Skidmore and my skiddies, but I really did not want to leave my abroad experience. Even now, I still think about it and it has been over a year. I still love discussing my time and looking back at pictures. I still contact the friends I made there and laugh about the good times we had. Its all something I will never forget and hold dear to me for forever. 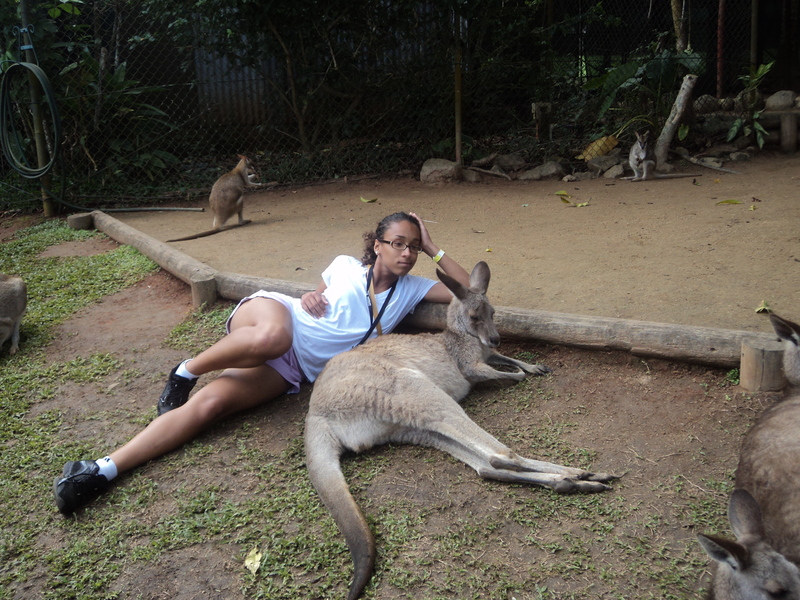 I thank Skidmore for giving me the gift of my abroad experience. I promise I am not the only person on this campus who feels this away. 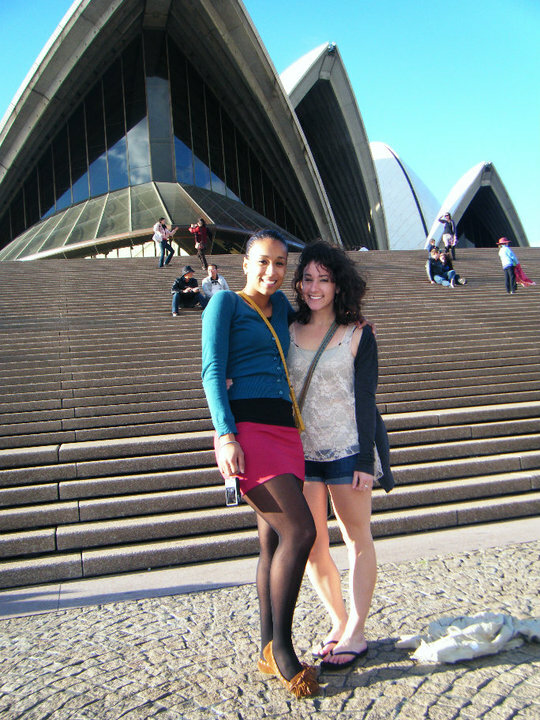 Many students study abroad, and many have the time of their life. I remember a friend once said “If it were not for Skidmore, I would not have even imagined going abroad”. 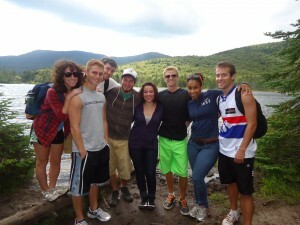 Sixty- five percent of Skidmore students study abroad. It really is something the school encourages and takes pride in. Many students who never thought of going abroad , do because it is pretty much apart of the Skidmore experience. Students begin talking about it as early as their second semester freshman year. I myself, never imagined going abroad (did I mention going to Aus was the first time I ever flew?). It really was something I never thought of. 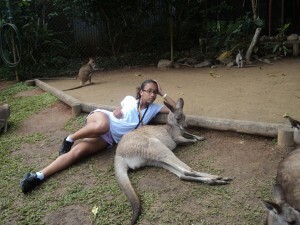 It was definitely being a SkidStudent that influenced my decision to study abroad. This entry was posted in Academics, Me on December 12, 2011 by Altagracia Montilla. You Asked: how have you dealt with stress of work now that you are a senior? My friends, including professors, have helped me maintain my sanity. A nice chat or a some chill time in helps to do this. When things get a little out of control, and it has this semester, I will let a professor know and they are often very understanding. Things are also a bit different for me now that I am a senior because I know what to expect and I am much better at managing my time and understand what are the best study habits for me. If I ever did need any additional help I do understand and know that the right resources such as, Student Academic Services, are available to me. This entry was posted in Academics, Formspring, Me and tagged senior, stress, what would alta do, work on December 11, 2011 by Altagracia Montilla. You Asked: do people ever stay for breaks ? Yes. Students do have the option of staying on campus for breaks. If it is a break during the academic year, you need to let ResLife know you are planning to stay. There are “vacation dorms” of which are filled with students staying for the break. Students who live in houses during the break can just stay in their house. For summer break, students who would like to stay on campus have to be taking classes, interning, or working on campus. That, staying for a summer, is an absolute must do. This entry was posted in Formspring, Living on Campus, Students, Uncategorized and tagged breaks, but what if i don't wanna go? !, housing, vacation on December 11, 2011 by Altagracia Montilla. You Asked: It is obvious that there are quite a few things that you love about Skidmore, but what is something 2 things that you wish you could change? This is a great question and I thank you for asking. You are correct, there are many and many things I love but if I had to complain about something it would be that I can’t have another 4 years here. No but seriously; one thing I guess I would change is a small detail about dormitories. I really enjoyed living in the dorms. It was great living so close to so many people. It would be nice if more upper class men lived in dorms. All students are allowed to live in the dorms all four years if they would like, housing is guaranteed. But with the town houses we have on campus all students are eager to move into those that I feel even students who would like to stay in the dorms are almost pressure to move into a house because it is the “thing” to do. 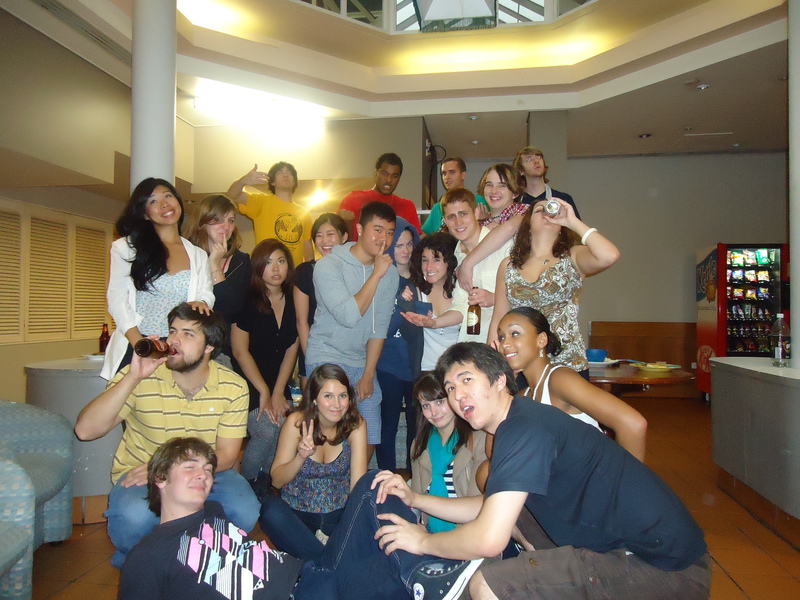 This entry was posted in Formspring, Living on Campus, Me, Students and tagged c=so i do i stay an extra 4 years, change, dorms, everything is just so good, good question, homes, if i really had to say, living on December 10, 2011 by Altagracia Montilla. So tonight is the last official weekend of the semester and there is just so much going on. I mean this is not atypical for a weekend at Skidmore. But this weekend in particular, it seems as if all clubs on campus scheduled events. Its insane !! So much so much. What am I, a student who wants to go to everything, to do ?! The girls and boys basketball games. The acapella groups, Dynamics and Bandersnatchers are performing. 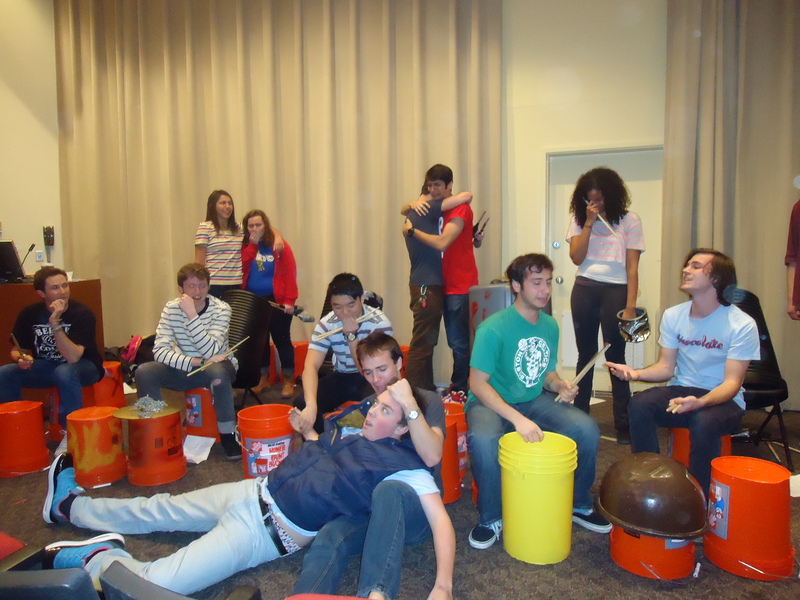 Pulse, “the group of found objects percussion groups that bang on stuff” are performing their last show of the semester. The DJ club hosted third first event on campus, a block party. I promise to post pictures soon enough. This entry was posted in Uncategorized on December 10, 2011 by Altagracia Montilla. This week is the last of the semester. Let’s take a second to let that marinate. (PAUSE) THE LAST WEEK OF THE FIRST SEMESTER OF MY LAST YEAR. Just imagine me saying that last sentence with a surprised OMG look on my face. I can’t believe it. Anyway, instead of getting super emotional about that and the thought of having finals (“Oh hello lack of sleep, its been a while. I haven’t seen you since last semester’s finals”) I’ll discuss something on the lighter side of moods, Junior Ring Weekend. I am absolutely aware that I am a bit late on giving Jr Ring some blogitty attention but who cares, a good time is worth telling no matter how late. Last Thursday kicked off Junior Ring Weekend, organized by the Junior Class Council. JRW is one of Skidmore’s traditions. Its always scheduled for the Fall semester right before finals. I think JRW is great; planned fun during such a stressful time. Tree Lighting Ceremony – 6PM on Case Green. Everyone gathered outside on the green to watch the climactic moment when the switch is turned and the holiday tree is lit. Hot cocoa and apple cider donuts were in the palms of cold and finals stressed students as they listened to the sounds of Skidmore’s a- capella groups. Mr. Skidmore: The Search for the Modern Mr. Gatsby – 8PM at the Spa. 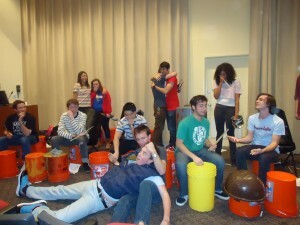 I have actually never attended a Mr. Skidmore event but I heard its heaps of fun. I was hoping to attend this year but I am babysitting for a Skidprofessor and then a Skidcoach. Sad times; not the kids, just the missing Mr. Skidmore part. Apparently its now a tradition after the student government association decided to create an all male friendly event years ago. So I guess you could say Mr. Skidmore is Skidmore’s Mr. America pageant. Flag Football – 10AM at Wachenheim Field. I so wanted to join in on this one. But I had to attend the synagogue in town and then lead fashion show practice. I passed by the soccer field, spotted a few seconds of what looked like some really intense flag foot ball games. A tiny feeling of jealousy creeped up my back, well not actually, but you know what I mean. I really enjoy being active especially when it involves me showing off how not “girly” I am. Junior Ring Dance: Luck Be a Lady Tonight – 10PM in the Big Gym. The dance was a major success. I know its a tough thing to do, plan an event designed for the entire school in hopes of impressing everyone and avoiding the high school cheesy dance/prom feel. 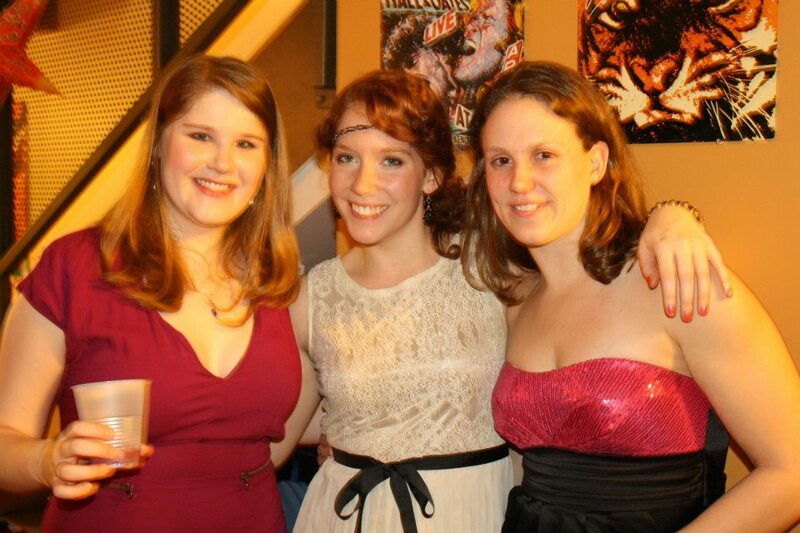 After a long semester its great to be all fancy- ful for a night. And boy can us Skiddies get down with our fancy- ful selves. The dance was held in our main gym. Walking into the space used you’d forget it was a gym. All walls were covered is fabric, decorations everywhere, a beer garden in one corner with a chandelier hanging over it, and to go with the theme poker/ black jack tables set up. Upon entering the dance students used their ticket in exchange for chips of which were used to gamble. WOOHOO. I won nothing so I have no idea why I am woohoo- ing. But the idea was awesome. The whole thing was great. I and my friends stuck around until the end, we walked out of there heels in hand, feet sore. A sure sign of a good night. All in all, JRW was a chance of use to take the load off for a bit in preparation for the hell week ahead of us. Wish me luck. No but really, wish me luck!! This entry was posted in Clubs&Organizations, Events and tagged dance, events, finals, fun, junior ring, relief, sga, traditions on December 7, 2011 by Altagracia Montilla.